LOCATION, LOCATION, LOCATION!! 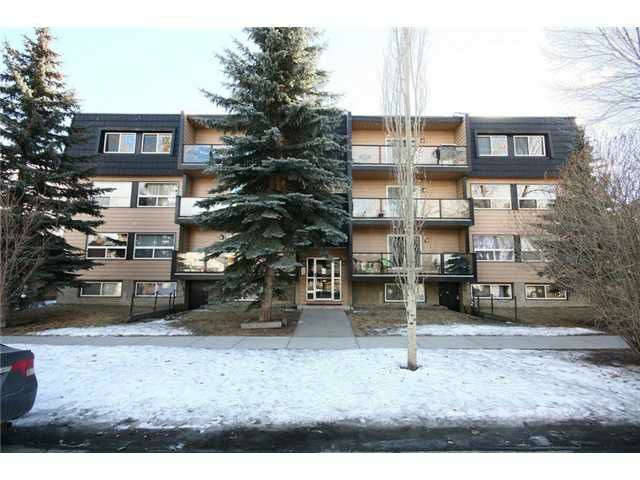 A MUST SEE sizeable TWO bedrooms, one bath condo apartment in the heart of SUNNYSIDE!! Only a 3 minutes walk to the CTRAIN, This TOP floor, amazingly QUIET unit features a great OPEN PLAN concept where the Living, Dining & Kitchen Spaces compliments each other well along with patio doors that leads you to a BIG BALCONY. Ceramic Tiles in Entrance, Kitchen and Bath, SOFT Carpets in Bedrooms, & HARDWOOD Throughout the rest for flooring! STAINLESS STEEL Appliances. Bathroom has a SOAKER TUB with beautiful Tile Work. Good Sized Insuite Storage Room & LAUNDRY and an OFFICE NOOK completes this home perfectly. Also comes with one assigned parking stall and you can get a permit for the abundant street parking for additional parking. A Well managed building, with TONS of AMENITIES, only steps away. SAFEWAY, coffee shops, shopping,eateries, the RIVER bike/walking pathway systems, the PEACE Bridge, WALK TO DOWNTOWN, the list goes on and on. VIEW the PICTURES, then CALL FAST! !